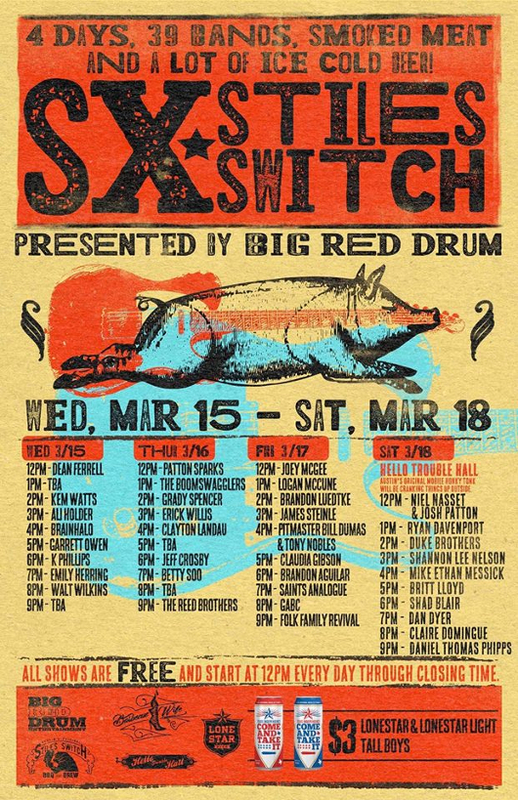 Every mid March upwards of 5,000 artists and bands trek to Austin, TX to participate in SXSW, and the smart participants avoid the the “official” stuff and instead hit the free parties all around town that offer the best opportunity to discover something new. 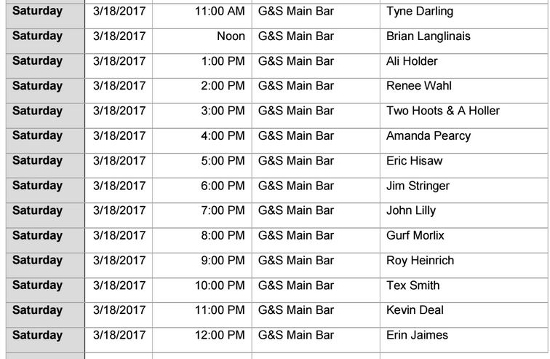 There are so many unofficial parties, we could list 200 here and still leave some out. 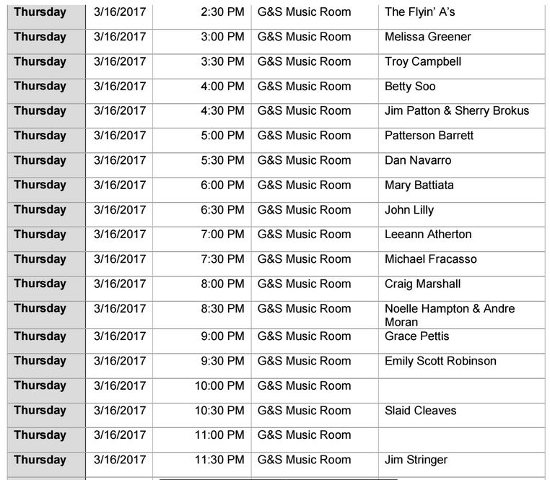 But in an effort to curate the noses of those Saving Country Music-oriented readers in the right direction, here is a smattering of recommended showcases presented in a similar fashion to SXSW itself, meaning a blobish mess. Good luck, drink lots of liquids, don’t forget to eat, and sit whenever you have the opportunity. 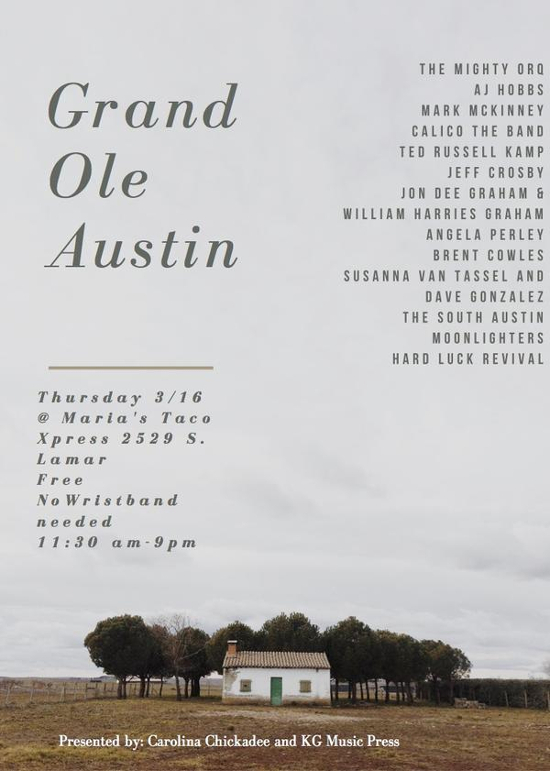 Join Wide Open Country for two FREE nights of great Texas music at Lustre Pearl East — away from the SXSW crowds. 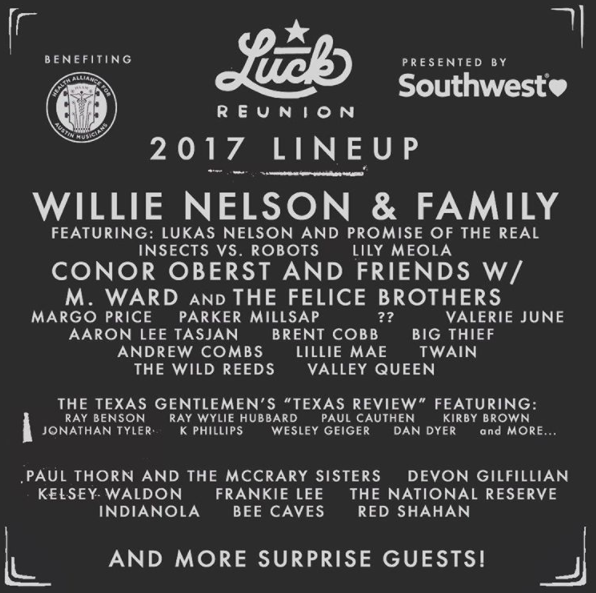 For years this was one of the most exclusive SXSW events, held at Willie Nelson’s ranch in the little town they built for the movie Red Headed Stranger affectionately labeled “Luck, TX.” You had to know somebody who was connected to get in, and it was open and intimate. 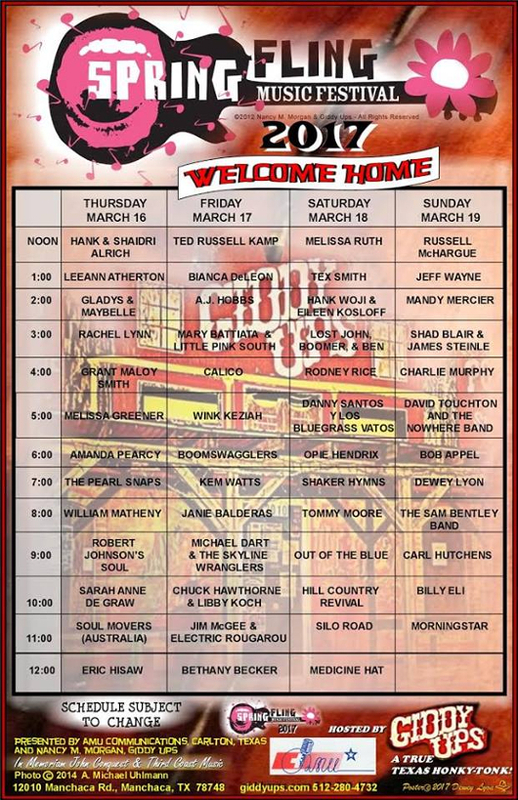 Now they’re turning it into the Texas version Lollapalooza, and it’s one of the biggest SXSW events all week. 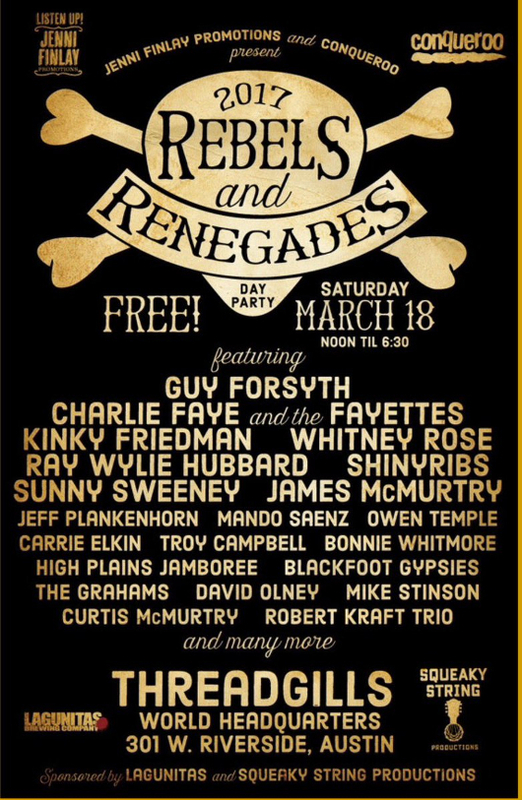 Word is it was sold out weeks ago, but if you can beg or barter a ticket, it is worth attending. 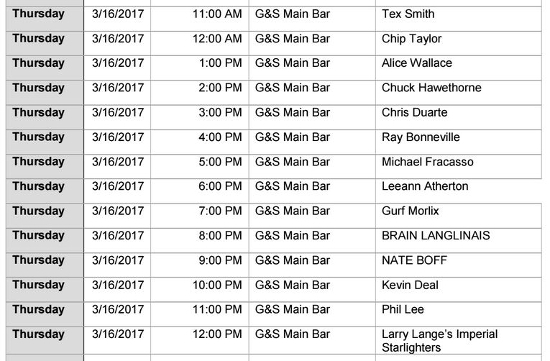 A great alternative for locals and out-of-towers alike, south of town and out of the madness, yet still an excellent roster of talent. 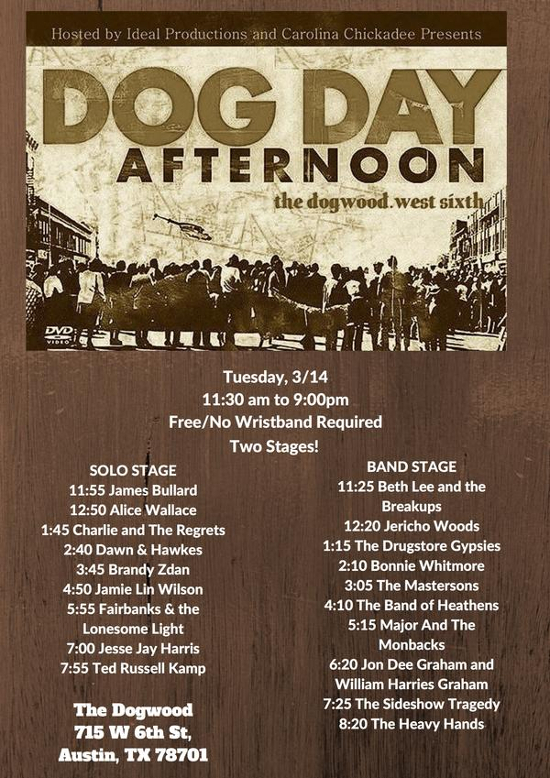 Bloodshot’s Yard Dog day party is one of the best, and one of the longest-running unofficial SXSW showcases out there. 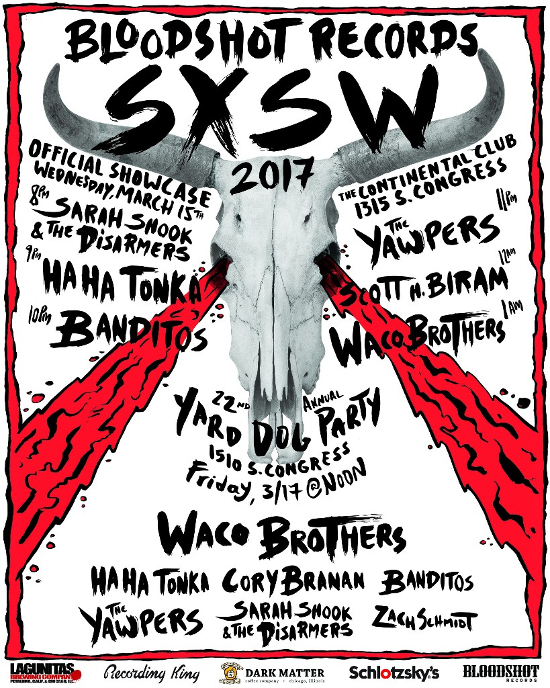 This year it features The Waco Brothers, HaHa Tonka who just released a new record, Sarah Shook who just signed with Bloodshot, as well as The Yawpers, Banditos, Cory Branan, and Zach Schmidt. 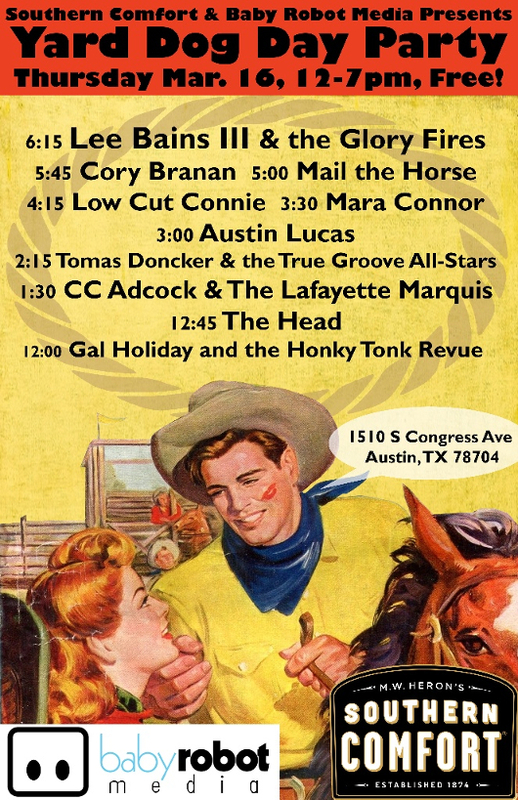 Bloodshot’s official showcase is Wednesday night at The Continental Club. 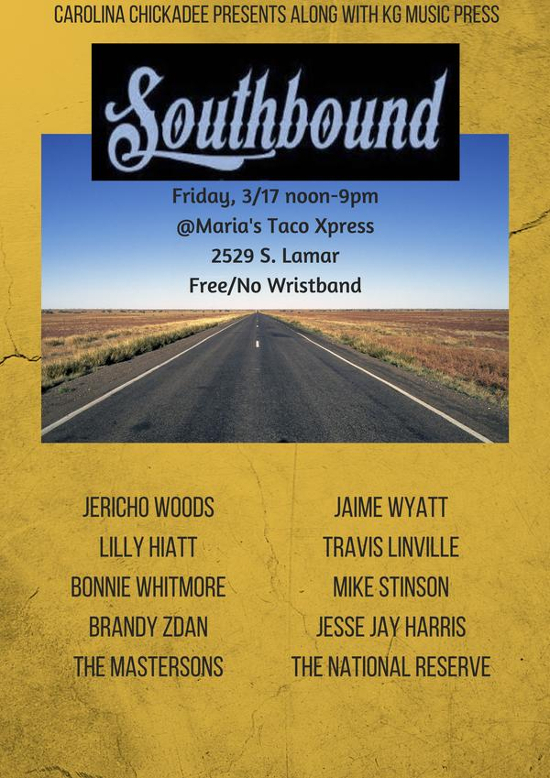 A great showcase to get out of the madness, go a little bit north of town, get some amazing food and listen to some good tunes. 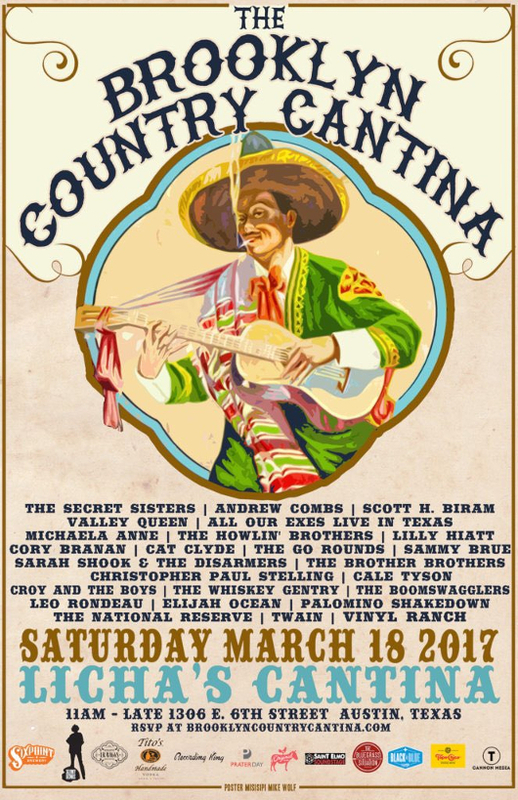 Always one of the best unofficial showcases each year, this year it features headliners The Secret Sisters, Andrew Combs, and Scott H. Biram. 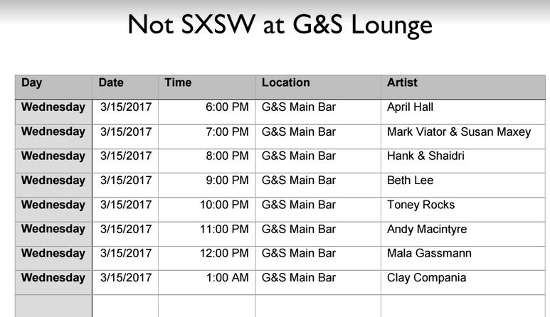 It’s a good place to set up shop on SXSW’s most hectic day and not have to worry about moving around town. 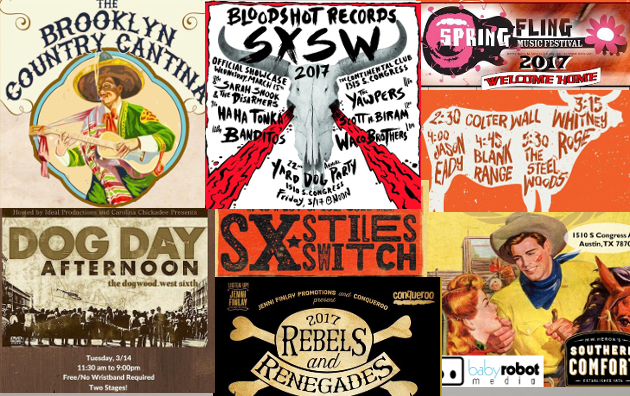 Publicist Cary Baker has been covering SXSW for 30 years, but says that 2017 is his final hurrah. 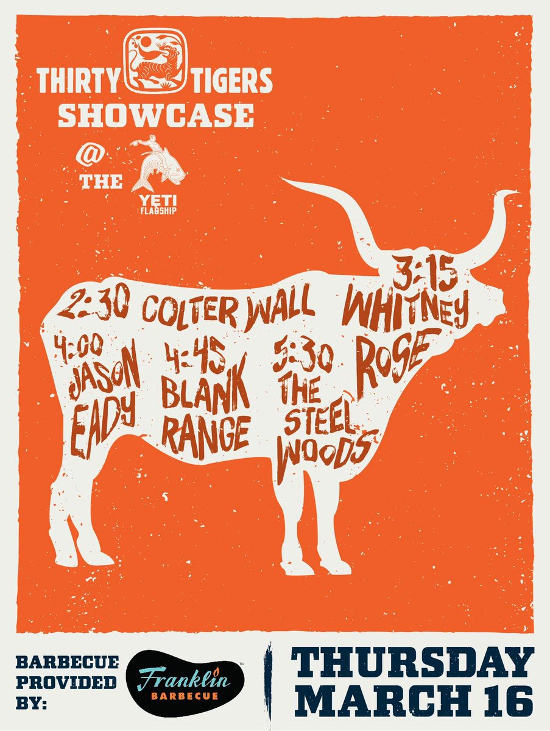 All the more reason to attend this stellar showcase put on in conjunction with Kent Finlay’s daughter Jenni Finlay. 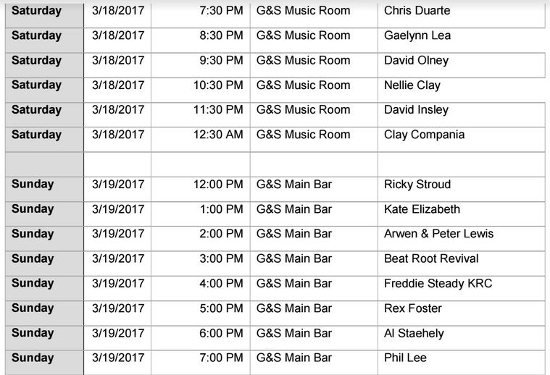 KG Music Press is throwing multiple free parties with Carolina Chickadee Presents. Wow, that’s a lot of options to process ! The Thirty Tigers deal looks particularly interesting. Thanks for that one, too. In addition to this great article, I looked up the Austin 360 site, and both the KOKE FM and Sun Radio FB sites. 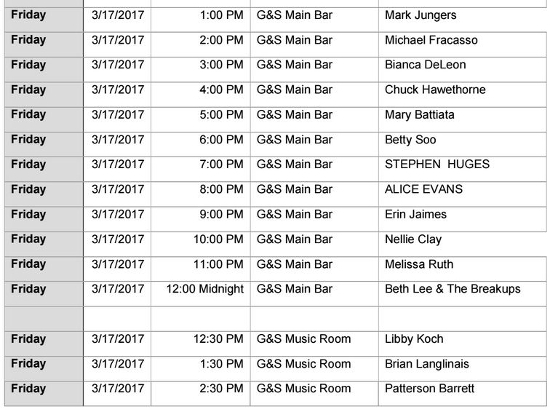 Huge number of bands I’ve mostly never heard of, playing at venues I’ve never visited, but that suits me fine.